Omg.. what a cute bedding set!! I thought the colors would be brighter but they’re not flashy at all. She love it -the inside is pink and the mermaids are adorable!! I paired hers with white twin sheets. 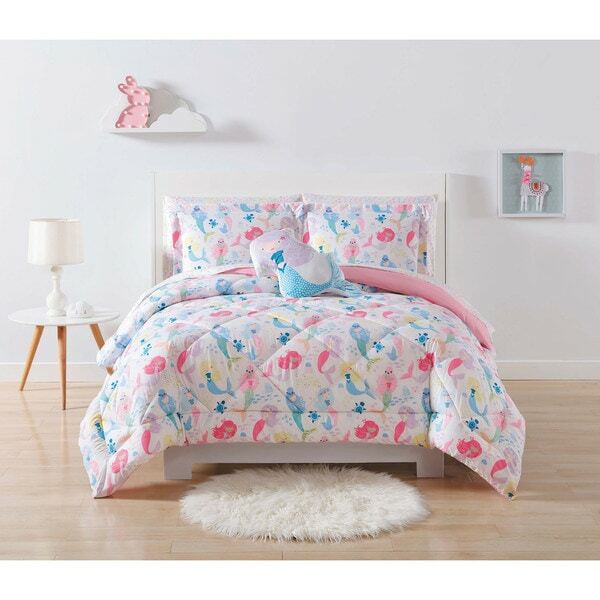 Grand daughter loves this bedding set great addition to her room decor. Would make any little girl smile. "Does overstock sell the matching sheet s for this bedset"